Grow Green Match Day :: Audubon of Kansas, Inc. The mission of AOK includes promoting the enjoyment, understanding, protection, and restoration of natural ecosystems. We seek to establish a culture of conservation and an environmental ethic. 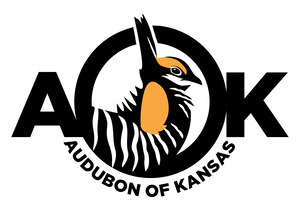 Audubon of Kansas (AOK) is an independent grassroots nonprofit organization that promotes appreciation and stewardship of natural ecosystems in Kansas and the central Great Plains, with special emphasis on conservation of prairies, birds, other wildlife, and their habitat. It is neither funded nor administered by the National Audubon Society. AOK is made up of members and supporters from all across the state of Kansas and beyond. AOK is governed by a Board of Trustees consisting of conservation leaders, farmers and ranchers, and others who share a common interest in implementing AOK's mission and goals. AOK works throughout Kansas, Nebraska, and the central Great Plains, and both its members and Trustees come from numerous states across the region. Although AOK is not affiliated with the National Audubon Society, it works in partnership with local Audubon chapters and many other organizations. Representatives of local Kansas chapters serve on the Board of Trustees. AOK seeks to implement its goals by working cooperatively with individuals and groups representing a wide variety of interests including landowners, businesses, communities, policy makers and other conservation organizations. Because AOK is an independent organization, we need your support to continue fighting for conservation and speaking out when others do not. All funding is dedicated to our work in the central Great Plains and prairie states.